Here's my attempt at a step by step guide on how to do it - a really simple task, that seems really daunting. All you really need is a little confidence in what you are doing. But be warned - once you've done a few, it becomes quite addictive. Peter Pig figures are usually very clean casts, these Scots heads had just the feintest of mould lines on their caps. Next up the scary bit. It's only scary the first time you remove a head. Grab the head with a pair of pliers and twist. Try and twist in one smoooth motion, and keep going until the head comes off. By doing it this way you should have a nice clean break. Next up you need to put a pilot hole for the hole you are about to drill. I find using a needle easiest. Update: I found an 0.3mm RC fuel line cleaning pin (approximately 12cm long steel pin, which can be sharpened using a needle file) which I have found to be absolutely perfect for the job. Once you've made a pilot hole, it is time to start drilling with a 1mm bit using a pin vice. 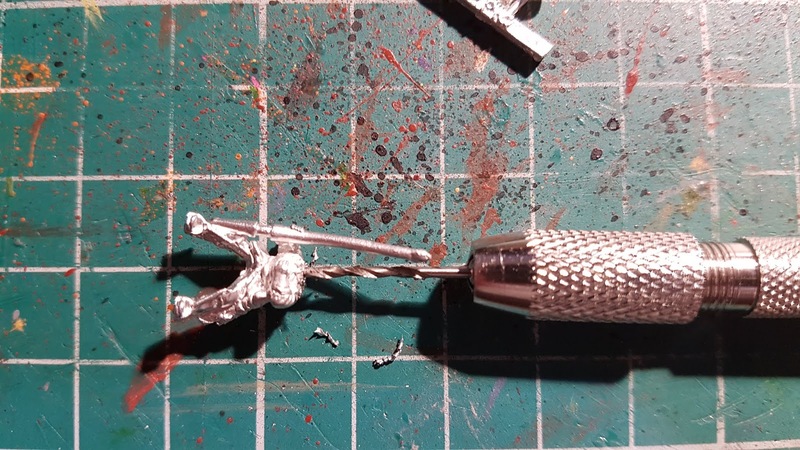 If you are drilling more than one figure I suggest wrapping the figure in Blu-Tack - easy to grip, no slipping, and most importantly you don't get sore fingers from the figures digging into your flesh. 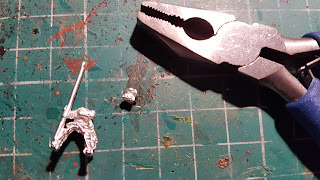 Update: using Blu-tack to hold the figure really does help, I can knock headswaps and drill hands for pike out, so much quicker, easily and safely using this method. As you get deeper, drill slowly, a bit of water to lube the drill bit helps. 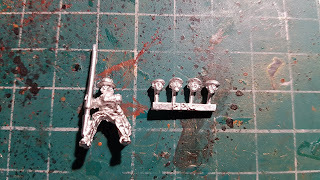 Cut the head and stem from the sprue. Dry fit it first, you might need to carefully use a needle file to help it fit /clean up the torso at this point. Replacement heads with beards require a small notch filing into the torso so that they fit flush. When it's a good fit, time to get the superglue out. I find using a cocktail stick as a brush helps (and reduces the likelihood of me gluing my fingers together.) If it's a bit of a loose fit, try a little bit of Citadel liquid greenstuff in the hole - works wonders, and makes a superstrong bond too (plus it's readymixed so you don't waste loads as you'll only need to use a tiny amount). Here's the completed command group for my Scots lancers. 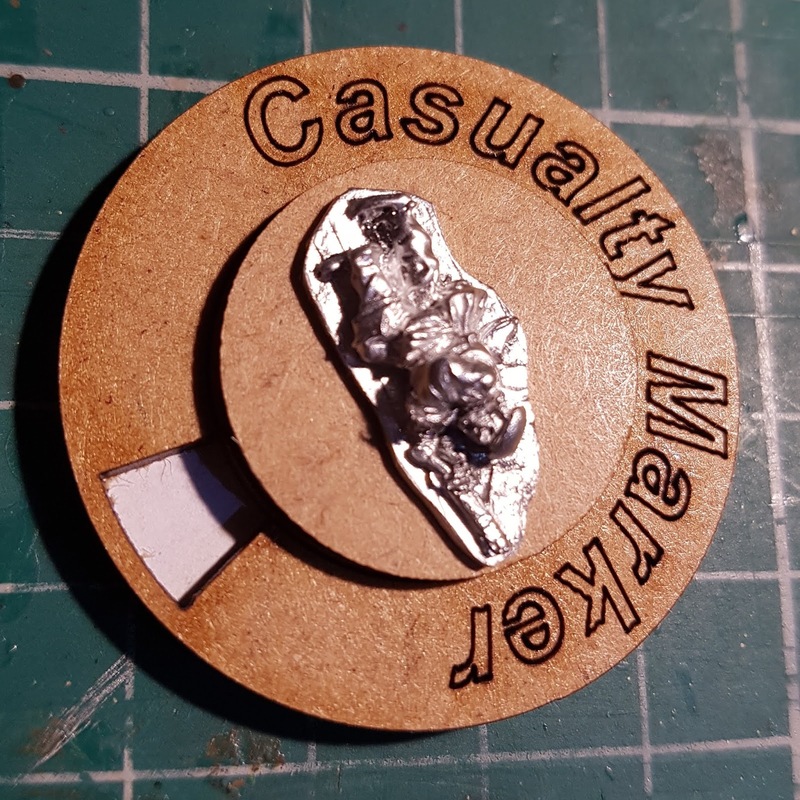 As I have reorganised all my casualty markers so that they are unit specific, I decided that the generic harquebusier casualty figure (that I assign to my cavalry units) just wouldn't cut the mustard. 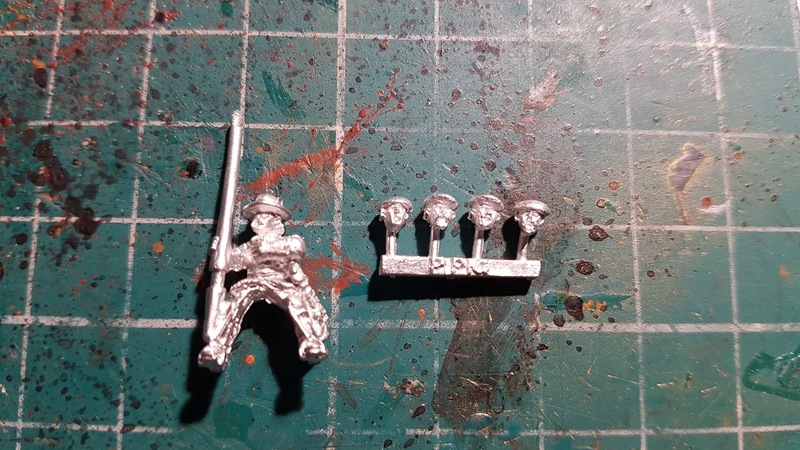 Yes, you guessed it - a headswap. Warning, this one had the potential to involve the local A&E, stitches and lots of blood. So if you are so inclined, be really careful, always make sure the X-Acto blade is going away from you; use plenty of Blu-Tack to keep the figure in position; and, however tempting it is to pare the head down towards you... just don't! Agreed. 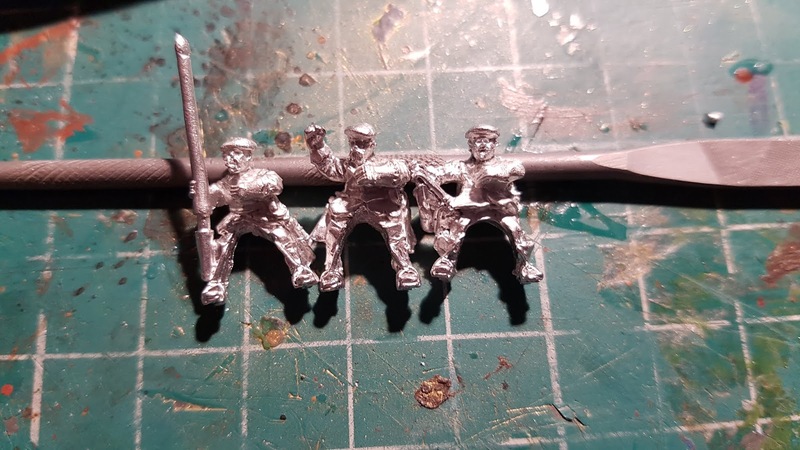 I think the brutality is what stopped me from doing headswaps. 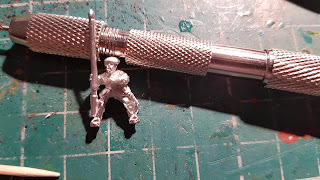 Once you have got over that bit, it is a really simple and easy way of adding uniqueness to figures.